This nicely furnished, detached bungalow sleeps up to 6 people. 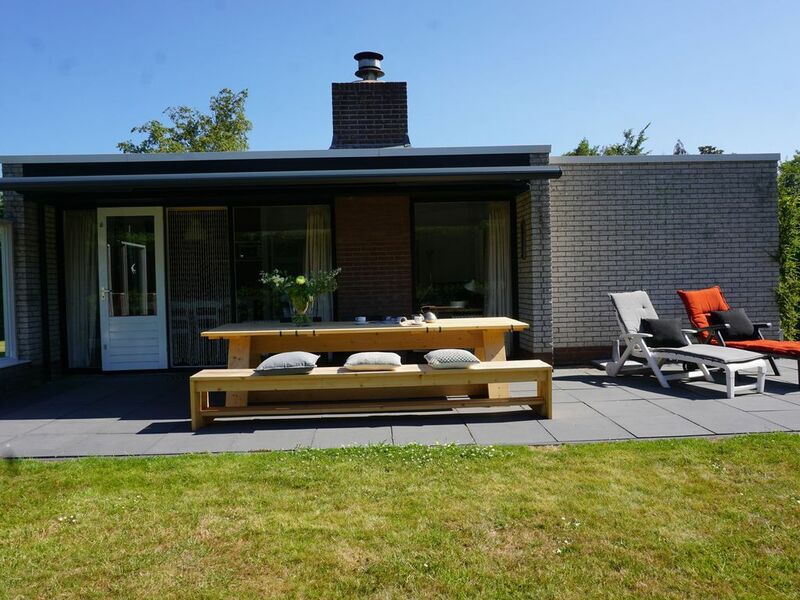 It's situated in a quiet cul-de-sac in the heart of the holiday park, within walking distance of the Veerse Meer lake. A perfect location if you're a water sports or nature enthusiast. Serenity and space are central to this park, which is surrounded by greenery. The perfect base for a relaxing holiday. This house is set in spacious grounds and features a sunny terrace with comfortable garden furniture and a south-facing garden, which is a great place to unwind after a day out on the water. There a covered lounge area in the back of the garden, where you can relax, regardless the weather. There's space to park one car in the driveway. The entrance leads through to three bedrooms, one of which is furnished with a double bed and the others with two singles. The modern bathroom is fitted with a shower and a washbasin. There's a separate toilet in the hall. At the end of the hallway, you'll find the lovely living room, which is equipped with a flat-screen TV, an iPod docking station and an open fireplace. The door in the living room opens out onto the terrace, where you can enjoy the sun all day long, until the evenings. The open kitchen is equipped with all modern appliances including a microwave, a refrigerator and a dishwasher. There's a washing machine and dryer in the storage room. By booking a holiday in this beautiful holiday park, serenity and space are guaranteed. Facilities can be found at less than a 5-minute walk on the nearby campsite, including a small supermarket and a restaurant, but also a surfing and sailing school where you and the children can go supping or windsurfing.